Daimler is building a plant for the production of Mercedes passenger cars in Russia. The E-Class will be built there from 2019, followed by the GLE, GLC and GLS. The company invests 250 million euros and creates around 1,000 jobs. 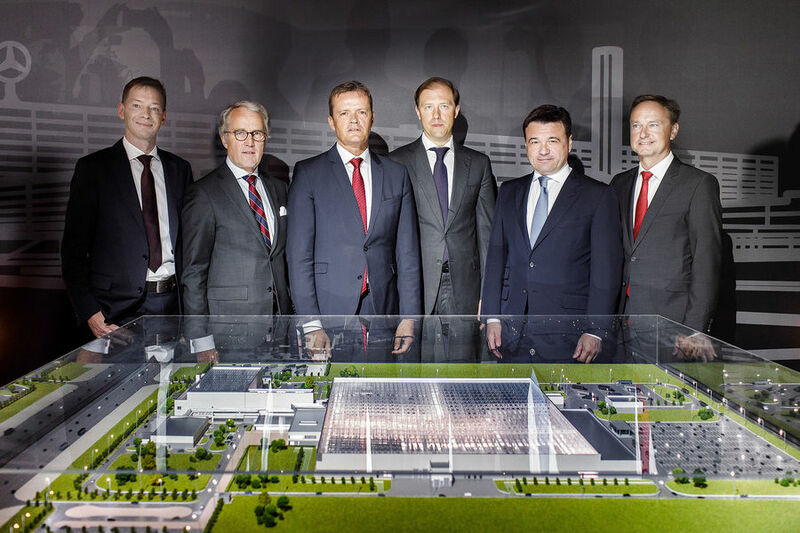 Mercedes CEO Markus Schäfer sees the plant as a “strategic investment in an important sales market.” The new plant in Moscow is being built in the industrial park Esipovo on an area of ​​85 hectares. According to Daimler, bodywork, paint shop and assembly lines are to be built at the plant. The capacity is stated at 20,000 vehicles per year. A flexible production system should ensure that several model series can be manufactured under one roof. The plant is networked with all other locations, the robots can be reprogrammed remotely. Heat recovery in the paint shop and electric forklift trucks in logistics should improve the environmental balance. The plant wants to strengthen its access to the Russian market. The car market appears to be growing slightly after a few years of the crisis. According to own data, Mercedes has quadrupled sales in Russia since 2006. With the Russian manufacturer Kamaz, Mercedes has been building trucks in Russia for several years.